Should you bundle electricity with gas or internet? Consumers on the lookout for a new electricity plan will likely have come across bundle offers, which incorporate additional services, such as gas or broadband internet, packaged together by retailers and potentially offered at a discount rate. Dependent upon your household’s requirements, a bundle offer may well be worthwhile considering, and could be the deciding factor that separates one plan from the next, collectively providing greater value across the range of services on offer. It is certainly worthwhile being proactive in exploring your electricity options, considering the offers of a range of retailers, and comparing both bundle and regular plans, in determining the sort of value that a bundle plan will provide. The Electricity Authority recently advised that more than 440,000 switches between electricity companies were made during 2017 – up from the previous record of 417,642 switches in 2015, and noted the different options consumers now have at their disposal. What should consumers keep in mind when assessing bundle offers, and what are some of the bundle deals on offer from retailers? Why bundle electricity with other services? As the electricity market continues to evolve, with new retailers entering the market, utilising new technologies in seeking to carve out a niche, consumers have an increasing range of options at their disposal, and more opportunity to match a plan to their needs. Of course, a variety of factors need to be taken into account when signing up to a new electricity plan, and consumers should take care to match their specific requirements with the plans on offer, keeping in mind the overall suitability of retailer offerings. A bundle offer may deliver the convenience of combining a number of different services, allowing for easier account monitoring and management, and consumers should assess the sort of online and mobile app services and support that a retailer provides with a bundle offer. Under a bundle offer, you may be able to access all of your details in one place across a range of services, keeping up to speed with usage across electricity and other services over the course of a billing period, rather than maintaining separate online accounts. 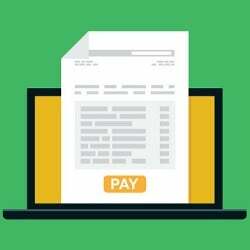 When it comes to bill payment, it may also be convenient to consolidate a number of services, and consumers should also keep in mind that, in combining services, they may receive a discounted rate across these services. Retailers may also offer additional incentives, such as a one-off discount for joining, and consumers should consider these types of incentives in the context of the suitability of the bundle for their specific requirements, and what sort of value the offer will provide over the longer term. The following are some of the bundle offers incorporating electricity services currently available from retailers. Consumers interested in these offers will be able to access further information via the respective retailers’ websites, and should get in touch with the retailer directly if they have any further queries. In addition to its electricity plans, Contact Energy offers both gas and broadband services, allowing customers to bundle different services together. Customers need to have an electricity account with Contact Energy at the same address as their broadband services, with all of Contact’s broadband plans being unlimited and offered on open contracts. “If you’re on an open-term electricity plan with broadband added and decide our services aren’t for you, we’d hate to see you go, but unlike other providers, you can leave without paying break-up fees,” Contact Energy states. Contact Energy offers broadband in conjunction with a number of its fixed-term and flexible electricity plans. Contact Energy also offers a DualEnergy payment discount for eligible customers who purchase a gas service along with their electricity at the same premises. Trustpower offers electricity, gas, internet and landline phone services, stating that “whatever plan you’re on, you have the convenience of just one bill, and one total to pay”. Via Trustpower’s online My Plan Builder, customers can choose the services they require, view plan rates and any potential discounts that will apply when they bundle services together, along with any join-up bonuses. Under Genesis Energy’s Dual Fuel offer, eligible customers can combine electricity and gas services and receive a discount rate. Genesis Energy customers on a Dual Fuel plan receive an additional 5 per cent discount on top of a 10 per cent prompt payment discount when they pay in full and on time. Consumers shopping around for a electricity plan and bundle offer should also keep in mind that some internet service providers also offer electricity services in conjunction with their broadband plans. 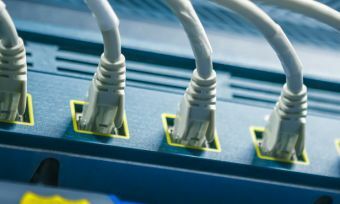 Dependent upon your circumstances, it may well be a viable option to add an electricity service to your broadband plan. Slingshot states that with Slingshot Power, customers can bundle power with their broadband service. New and existing customers with a Slingshot broadband plan have the option of adding an electricity service. “We’ve got super-competitive rates – and you’ll get 10 per cent off your base broadband plan and your base power plan with our prompt payment discount,” Slingshot states of its service. Orcon states that customers with a broadband service can sign up for its Orcon Power electricity service. Orcon states that by signing up for Orcon Power customers can combine their bills, with online and app management available. “We have some really competitive rates, $150 off your first bill and a prompt payment discount with 10 per cent off your base power plan,” Orcon states of its service. Which service provider should you go with? While bundling your home services can be convenient, just make sure you’re not paying too much for the privilege. With convenience often comes a higher price. Therefore be sure to read all critical information available – including price fact sheets – and make an informed decision. It could be that paying for your energy and broadband with separate retailers offers the best value for you. Just be sure to keep an open mind and remember that it’s in your provider’s interests to have you sign up for multiple services, not necessarily yours.